Suh recently signed a one-year, $US14 million contract with Los Angeles Rams after being released by the Miami Dolphins. While he doesn’t have any plans to leave the football field soon, he’s already thinking about the life that awaits him when football is done. Davis: You seem like a big tech guy – when did you become interested in it? Mitchell Leff/Getty ImagesSuh joined the Dolphins in 2015. 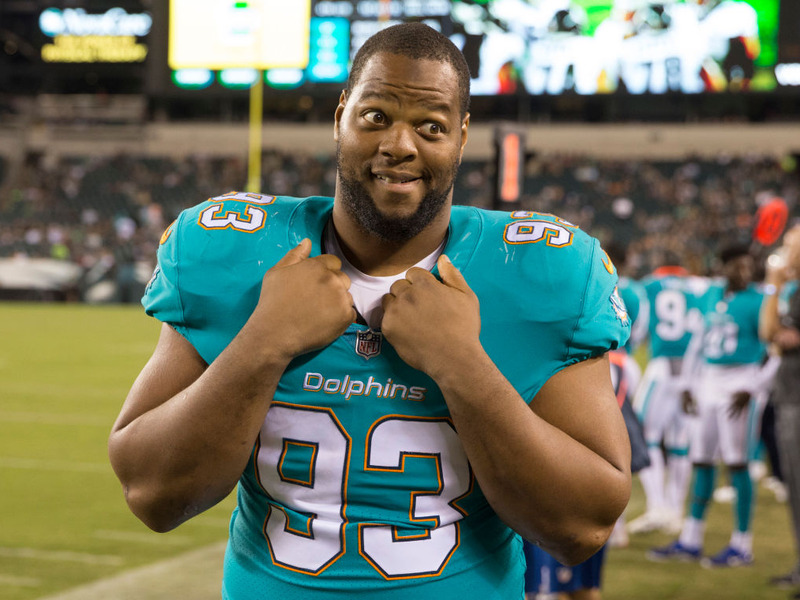 Davis: When you signed your six-year, $US114 million deal with the Miami Dolphins a few years ago, it made a lot of headlines. I was curious for your perspective on how much that deal really pays and what fans don’t realise about big contracts. “And when you even look at that guaranteed money, you should just cut that in half. So off of my rookie deal, which I’m not hiding anything, you can go and look at my deal, I had $US40 million guaranteed, it was $US68 [million] for 40 [guaranteed]. And you take that $US40 million that was guaranteed, and you swipe that in half because of taxes. Uncle Sam, the new tax reform, 37% goes to him. And then you have to factor in, I was in Detroit, so you got state taxes there, so that would be Michigan state taxes and then you have the city of Detroit taxes which is going to be 1 or 2%. So after you look at the particular piece, I’m probably, if I’m not mistaken, Michigan is at like 4 or 5%, so that’s 42 [% of the deal], city of Detroit’s 1 or 2, so you’ve got 43 [% of the deal]. Then you throw your agent fees, that’s 45, and then you throw in the concept of inflation, which is another 3, that’s 48, and then living expenses, let’s just say it’s 2% of that, you’re at 50%. Davis: The draft is coming up – what’s your best piece of advice you’d give to rookies?